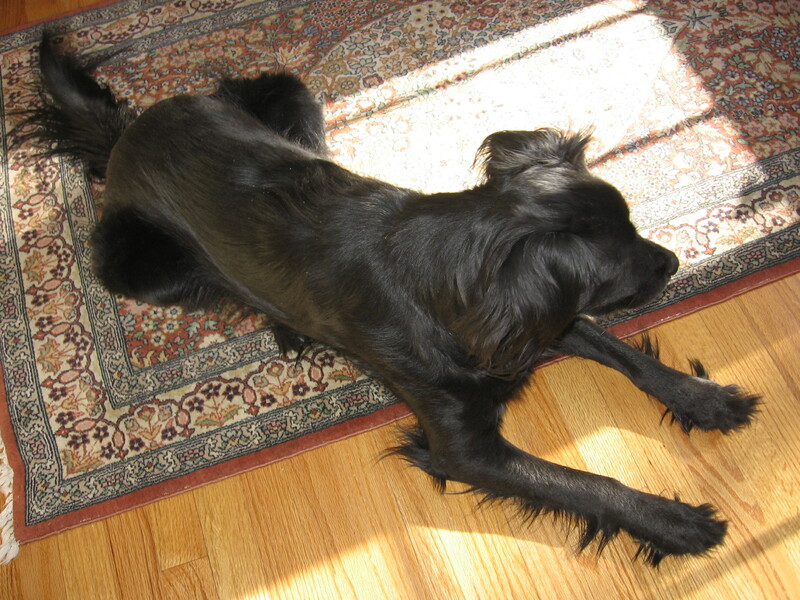 My dog Jesse arranges himself in afternoon sunlight while I work. When I try out lines of dialogue, he’ll listen but keeps his counsel. Wherever in the house I give him biscuits, he brings them here to eat on his dining carpet. When I’m too long at writing he sighs and walks away.